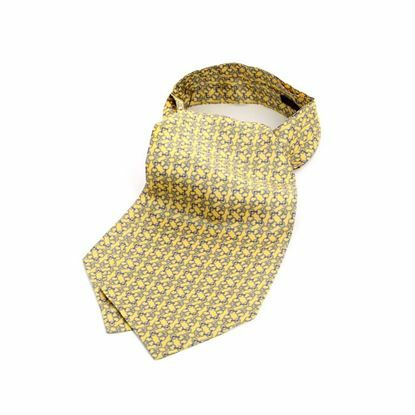 Classic patterned silk ascot - Handmade in Italy - Width 16 cm. - Made of 100% silk. Michele Baggio is a registered trademark owned by Paolo Da Ponte Italia S.r.l.